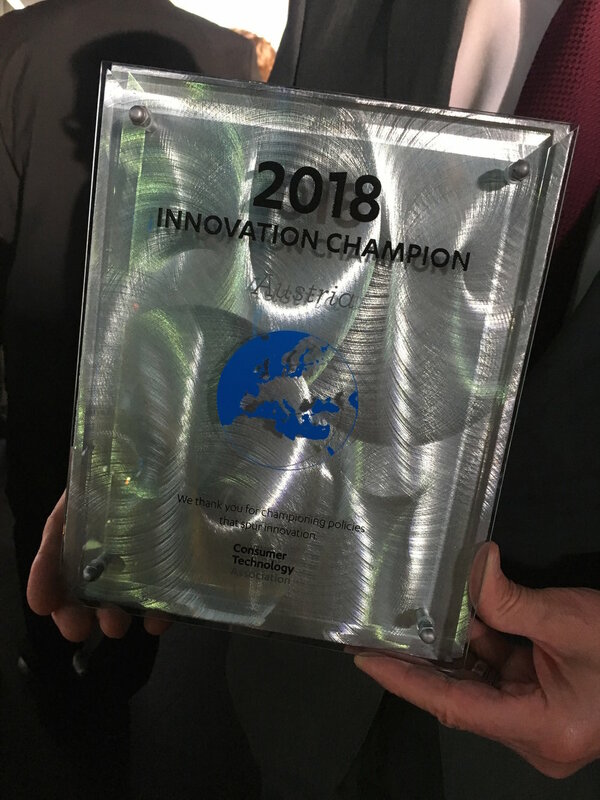 Austria is a "2018 International Innovation Champion"
The Consumer Technology Association (CTA), the largest US tech trade association, identified Austria as one of 13 countries earning the designation of 2018 International Innovation Champion. 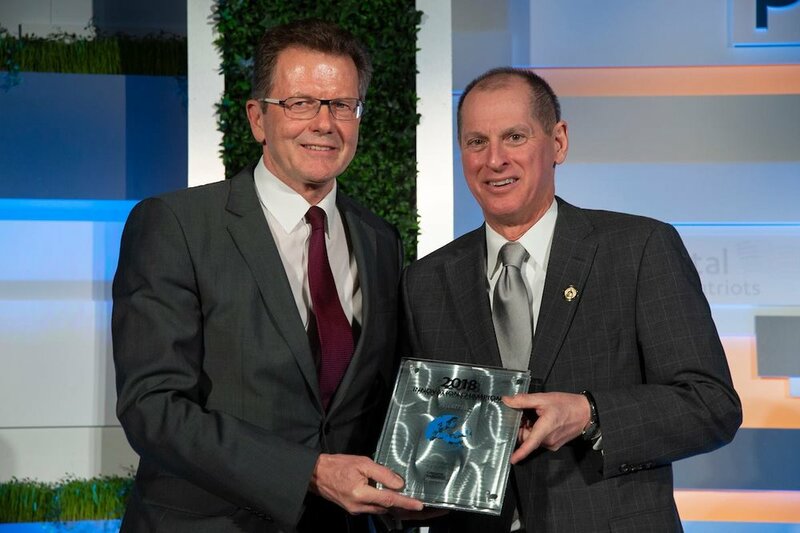 On April 17, 2018, Ambassador Waldner accepted the award on behalf of the Republic of Austria while attending CTA's 14th annual Digital Patriots Dinner and Innovation Champion Awards Ceremony at the Smithsonian American Art Museum and National Portrait Gallery in Washington, DC. "This recognition is not a coincidence, it is the result of a process. Moving innovations from discovery through to commercialization involves numerous actors, and Austria’s government is one of them. Like Americans, we Austrians are open to new ideas, and embrace innovators," said Wolfgang Waldner, Austria’s Ambassador to the United States. CTA conducted a comparative analysis of 38 countries and the European Union. In addition to Austria, CTA’s Scorecard named Australia, Canada, the Czech Republic, Denmark, Finland, Portugal, Singapore, Sweden, the Netherlands, New Zealand, the United Kingdom and the United States as Innovation Champions. Austria made a strong showing in several categories, earning high marks on research and development. Spending more than three percent of GDP, the country devoted a higher share to R&D than most countries, including Germany and the United States. It has also laid out a roadmap for research into self-driving vehicles and a national regulatory framework for testing and development. The country also offers average broadband speeds of 13.8 mbps, faster than most other countries, at an affordable average monthly cost of $12.35.